It began when I arrived home from the liquor store and noticed I bought a bottle of hazelnut liqueur, the problem being I apparently already had a bottle, UNOPENED no less! I blame it on the fact that much of our alcohol sits in a box in the garage since there isn’t enough room in the house. That kind of makes it easy to forget things. So back to my drink. We have spiced rum and apple cider. The hazelnut liqueur is the perfect match. After all my favorite apple dessert is an apple tart. I frequently make it with hazelnuts instead of almonds so I know I love that combination. Now all we need is a dollop of whipped cream to top it off. 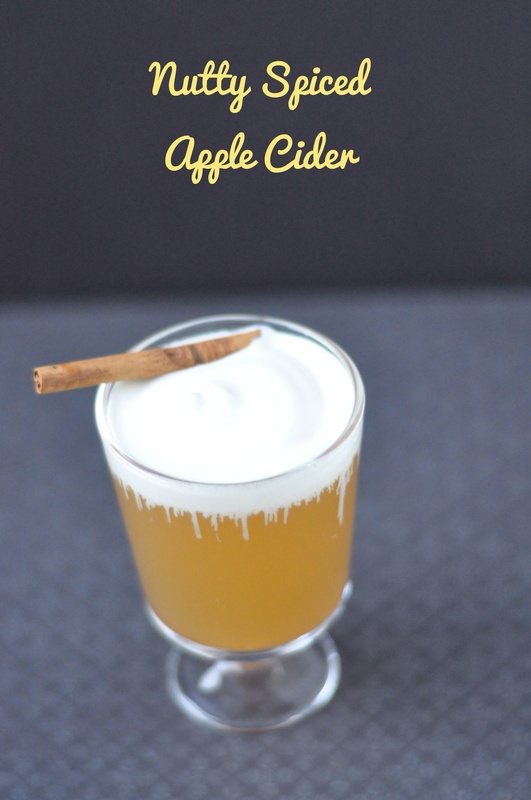 There you have it, a hint of nut and spice make the perfect apple cider cocktail. Sean seems to have benefitted from this as well. After I photographed the drink he asked for a hot apple cider and used the cinnamon stick as a straw. He thought it was the neatest thing ever and told his brothers as soon as they got off the bus! As for forgetting what alcohol we have, I rearranged the pantry later that day and now have everything in one place! Heat the apple cider, add liquors and stir. Top with a dollop of whipped cream. This looks so delicious. The perfect Autumn tipple. I wish I could pop round for a glass. Have a great weekend. Emma. I’ll have a glass ready for you! 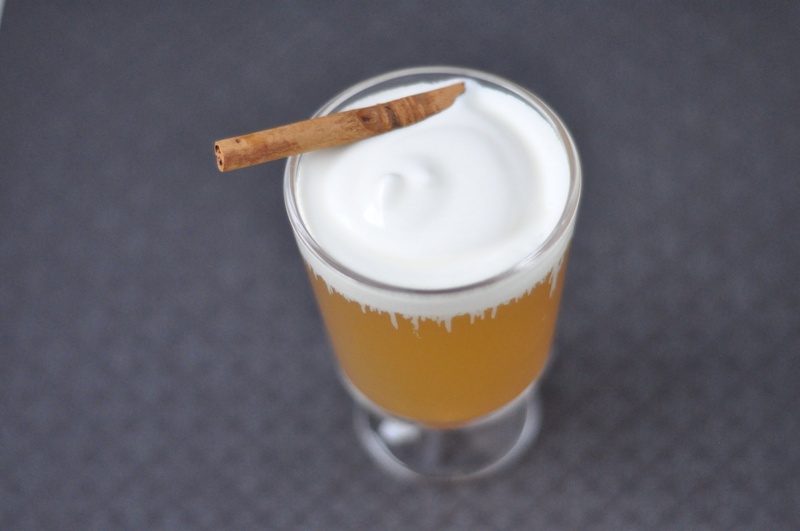 It is a wonderful autumn drink, especially as our temperatures get ready to cool again. Our lows may hit the 30s so I’m up for a hot cocktail too! Enjoy the weekend and stay warm! I love your description of “spiking up for grown ups”. Hazelnut flavoured liqueur sounds like a great addition and spiced rum enhances the flavour too. I love the idea of using cinnamon sticks as a straw. I never thought of that ever! Sean certainly loved his cinnamon stick straw! I never would have thought of it either. A spiked cider is always nice and the hazelnut/spiced rum combination was fabulous. Enjoy your weekend. Thank you. Have a lovely week. Is the cold hitting your area?? Parts of Canada had tons of snow…and cold in the West! Warm cocktails are the best! They warm you from the inside and are great hand warmers while holding them! If only I could sip on it without spilling while in the hammock watching the boys rake and play in the leaves!